To begin at the beginning, when we took an order for a house, our wonderful customers signed onto the idea that they would love anything we produced, and that we would indeed produce—our designs, our color. The deal was, they paid a small amount of earnest money and went on the list, with no estimated date of delivery (talk about trust…). If they didn’t like the completed house (this never happened), they moved down the line. If someone ahead of them were to cancel, they moved up in line. And there was always the unforeseen, events that might force them to cancel. We usually had 4-5 houses on order, and the last one on that list could wait as long as 3 years before we began construction. This process did not speed up as we honed our skills. Rather than learning how to build faster, we spent an increasing amount of time on each house trying out new techniques and intriguing details. That was what kept it interesting for us. Our last commissioned project took nearly 5 years. The original buyer of The Astorian had a particular color scheme in mind—cream with chocolate trim–a combination which did not exactly make our toes tingle. 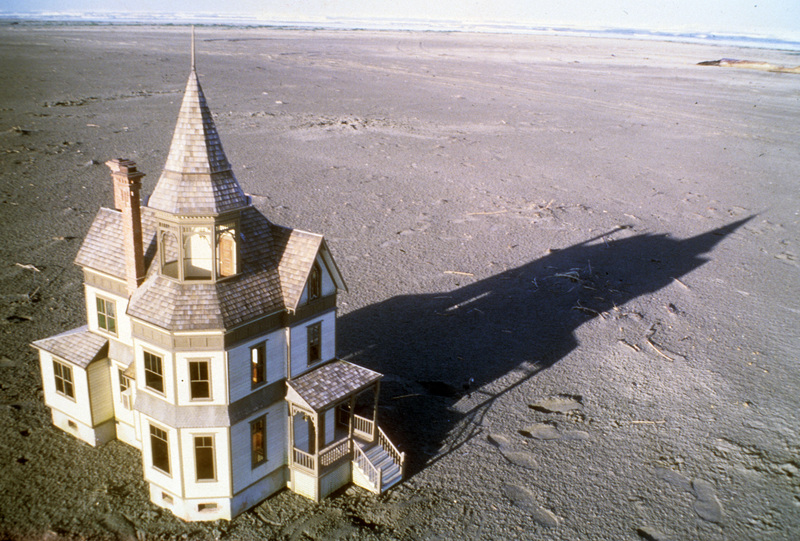 Color is entirely subjective, and for some reason I’ve always thought brown made a house look sad. This one time we bent to the customer’s request, and went ahead, immersing ourselves in whatever new architectural curiosities this house offered. We stayed in correspondence throughout construction, enclosing pictures with our letters, giving the customer every chance to change her mind about the color, but she did not. She always sent enthusiastic responses along with her timely payments. As we neared completion, we discussed shipping, as she lived too far away for us to deliver it. There was a long pause in our correspondence. Then one night she called to say she said she would come get it herself. When I inquired about the kind of vehicle she would drive, she replied, “a Jeep.” My heart. At this point we determined that something was going sideways in her life, or she would never have proposed something so irrational, not to mention impossible. I was convinced the color had jinxed the deal. As it turned out, a crisis was in the wings, and she was, understandably, finding it difficult to say she couldn’t take the dollhouse. It was a disheartening realization for all of us, both for her misfortune, and that of the house. The happy turn of the story was that the next customer was ready to take delivery of The Astorian. And she loved the color. We were able to quickly arrange to ship it to her, and return the original buyer’s money so she could get on with her life. 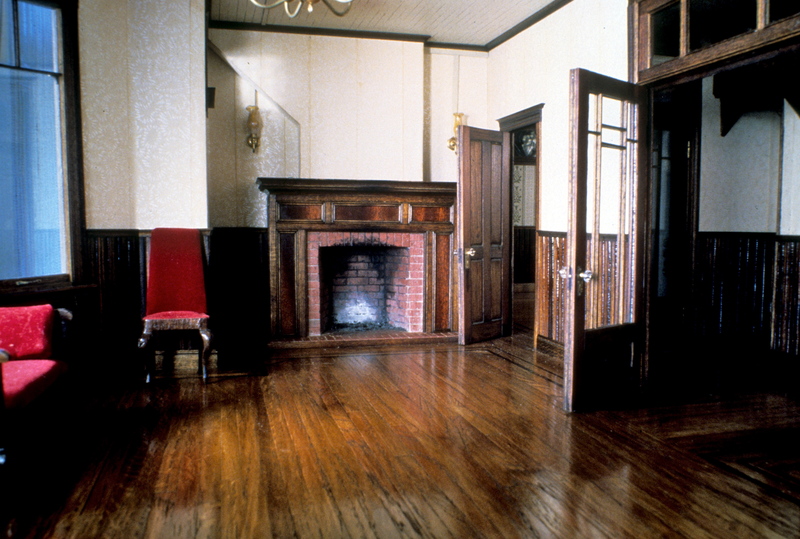 Thirty-two years later, in July, 2010, the Denver Museum emailed to announce their pleasure in being the new owners of The Astorian, a donation from the long-time original owner. If they’re pleased, we’re delighted, as a museum is the ideal home–a place where the house can be taken care of, and enjoyed by many. It seems the color scheme was not a jinx at all, but perhaps the luck of the house. One day soon maybe we’ll tie our traveling shoes back on and pay the lucky Astorian a visit in its new home. 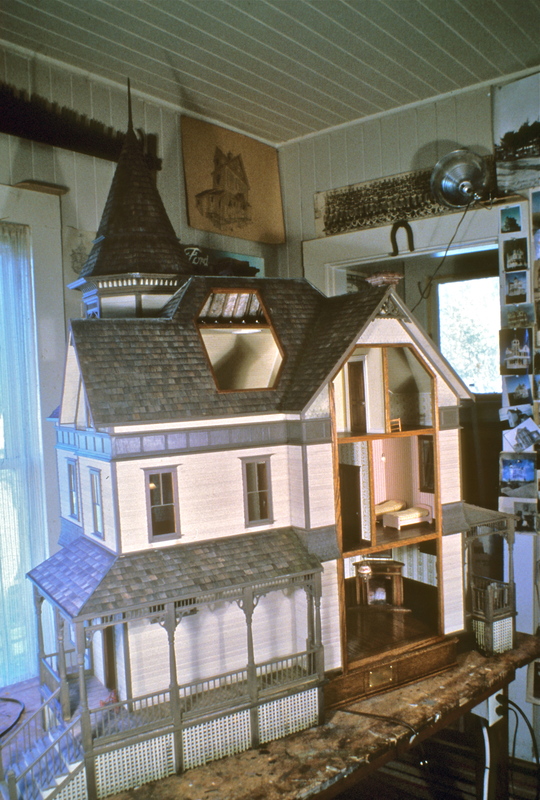 This entry was posted in Houses, Miniatures and tagged architecture, collectors, Denver Museum of Miniatures, dollhouses, Dolls & Toys, Victorian architecture. Bookmark the permalink. Dear Pat, I am so enjoying seeing the remarkable “miniature” homes you and Noel have built. 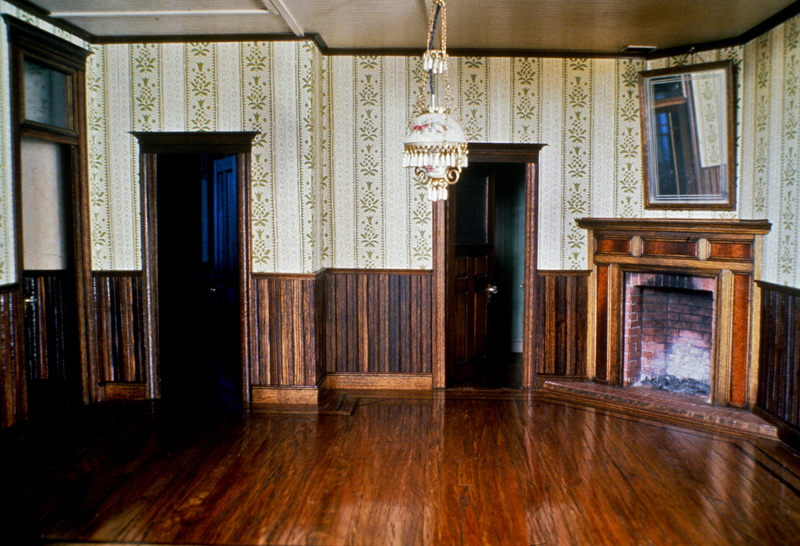 Did your customers furnish the homes, or simply enjoy the elaborate workmanship? Thanks, Betty. Mostly our customers were collectors, and/or craftspeople, who put their own collections in the houses. In the Kansas City Miniature Museum collection, one of our houses has only a minimal addition, a sewing machine and worktable, which we loved. Somehow that one item just brings the whole house alive with the idea of habitation, as if someone just left the room.